Well it has taken quite a few weeks but I have finally recovered from a nasty illness. Apologies for my absence, but I haven’t been well enough to cook let alone blog. But I’m feeling a lot better so it is time to start catching up on the cooking, baking and blogging. Week 7 of The Great Australian Bake Off (GABO) had the bakers making croissants. Traditionally croissants take a couple of days to make, however this simplified recipe only required half a day (about 4 hours). 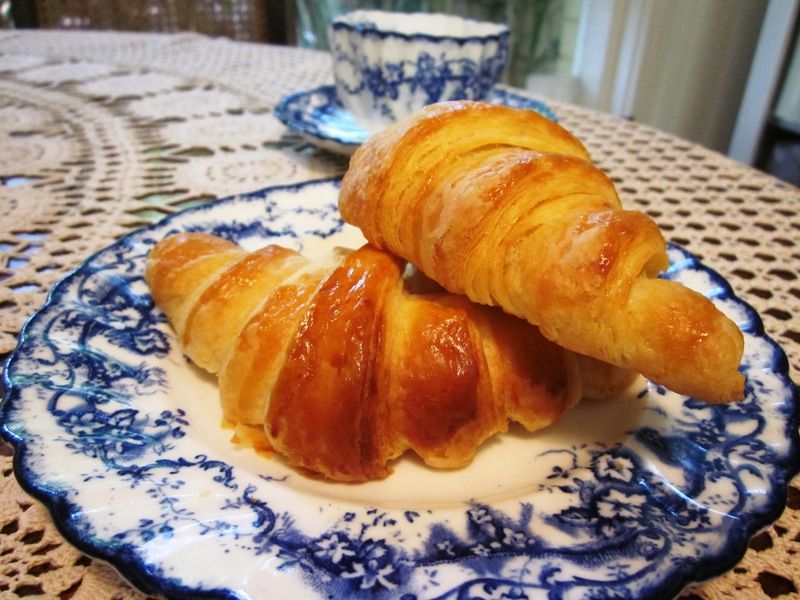 The results aren’t quite the same, but they were certainly recognisable as croissants and between rehearsals and work, I don’t have time to try the more traditional recipe at the moment. I made both full sized croissants and some smaller ones from the leftover dough. I think my larger ones needed a few more minutes in the oven, however the smaller ones were perfect…although I think the recipe needs a pinch of salt (I used unsalted butter). Jerome’s verdict? Not bad for a first attempt. However, they aren’t something I am going to make very often. Not because of the time involved, as most of that is waiting time when you can do other things, but because it is too dangerous having that many freshly cooked croissants in my house waiting to be eaten!